Commemorating the sweet Texas onion, which was pioneered here in the 1980s, the Texas Onion Fest will be celebrating its 30th anniversary Saturday at the Mayor Pablo G. Peña City Park. 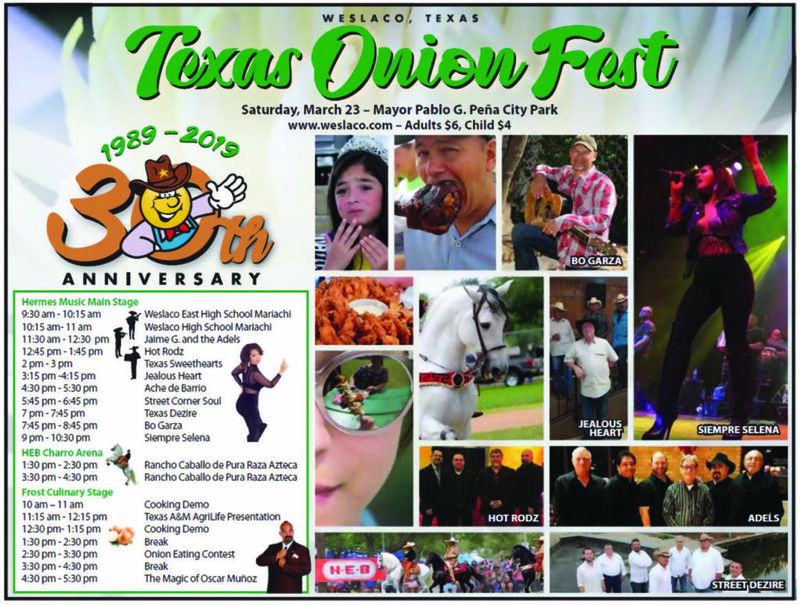 Featuring the traditional onion eating contest, cooking demonstrations and kiddie rides, Weslaco Chamber of Commerce Marketing Director Laura Espinoza said that attendees of all ages are welcome on Saturday to enjoy the event. Espinoza also said that to make this year different, the planning committee decided to rearrange the setup of the festival. Cooking demonstrations will be held at the Frost Culinary Stage at 10 a.m. and 12:30 p.m.
Complimenting the event with music will be the Weslaco East High School mariachi ensemble, and performances from various artists such as Texas Sweethearts, Jealous Heart, and headliner Siempre Selena, who will be performing at the Hermes Music Main Stage at 9 p.m. Guests will also have the opportunity to learn about the development of the sweet Texas onion by agriculture research scientist, Dr. Leonard Pike in Weslaco. This is the first festival without Pike, who died Jan. 12. The Weslaco event has averaged around 6,000 attendees every year, and Espinoza said that the importance of the event goes beyond the crop.